For my vacations I booked a flight to NYC and we had no one to take us to the AILA Airport, so I used Transekur for the ride. They got to my house before the time we suggested and the driver was extremely polite and nice. He knew the way and he was driving at a very appropriate speed. It was a very soft trip and the car was new. I would definitely recommend this service to others. The driver, Isaac, was very courteous and easy to talk to. The ride was quick to the airport. Overall, it was a very safe and comfortable experience. I would absolutely recommend using them. 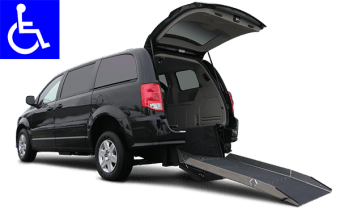 I have added them to my list for whenever myself or my family are visiting Punta Cana and do not want to be bothered with renting a car. Great job, thanks!. I wanted to let you know how pleased we were with our driver on Friday night, Felipe. He was very friendly and helpful with the 2 small children we had with us. He seemed very caring about us. We won our experience with Transekur through an online contest and after a mixup at the hotel, Felipe came back to pick us up without hesitation. From minivans to SUVs and luxury sedans, Transekur has the widest selection of company-owned vehicles for your dominican airport transfers. Congratulations on booking a fabulous vacation to the Dominican Republic. You’re moments away from enjoying the country’s beautiful beaches, warm ocean waves, and idyllic surroundings. How do you start your trip off on the right foot? You start with a smooth ride to the hotel with Airport Transportation Dominican Republic by Transekur. Opulent interiors: We offer the best in comfort. Luxurious leather interiors, as well as tinted windows, are inside every one of Transekur’s attractive, clean, and new model vehicles. Enhanced Experiences: We go above and beyond. Drivers will enhance your experience by riding along the magnificent beachside or throughout other exciting sightseeing spots upon your request. Bilingual Drivers: We are excellent communicators. If English is not your primary language, our drivers also speak French, German, Italian, Portuguese, and Spanish. Why Should You Hire Transekur Right Now? 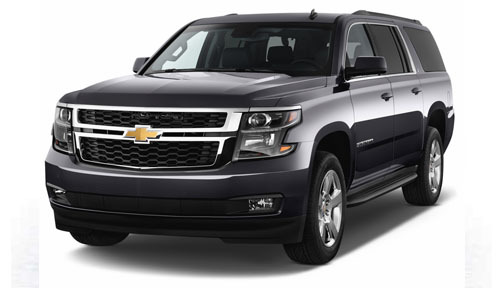 Transekur provides the best airport transportation Dominican Republic. It’s time to hire a driver who is ready to serve your every need. Save time by booking your rides throughout the Dominican Republic with Transekur and experience the best that this country has to offer. In doing so, you can manage all of your driving services in one place. You just have to sit back and enjoy the view from the comfort of one of our vehicles. Receive personalized attention 24/7: no matter what you need or where you need to go during your stay, Transekur is there to accommodate you day or night. Perfect for airport car service Dominican Republic, group travel, or sightseeing: our fleet of cars service international and national airports as well as all of your ground transportation needs. Save time by booking your driver through Transekur and make the best of your experiences wherever you travel. Receive guaranteed excellence in service: because we own every vehicle in our fleet outright, we work diligently to ensure that each one is performing at the highest level of quality. Every car is safe and every driver is skilled, professional, and on time. All you have to do is sit back and enjoy the view.